European Union Affairs Minister Mevlüt Çavuşoğlu said on Thursday that the US is the last country that should lecture Turkey about limiting the use of the Internet, adding that everyone knows that the US also has placed restrictions on the Internet, reports todayszaman.com. On Tuesday, President Abdullah Gül announced that he had approved a controversial revision to the Internet law that tightens the government's control over the Internet by allowing the Telecommunications Directorate (TİB) to block websites within hours for privacy violations prior to obtaining a court order, by forcing Internet providers to keep records of users' activities for up to two years and for making those records available to the authorities. 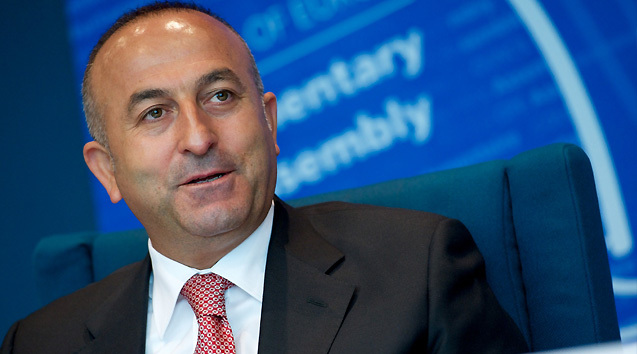 Çavuşoğlu also said reports that state European officials' concerns by citing anonymous sources are nothing but rumors, underlining that letters and phone calls between European and Turkish officials are a part of Turkey's EU negotiation process. The EU affairs minister also said that Turkey had adopted five of the eight recommendations of the EU in the recently passed law to revise the Supreme Board of Judges and Prosecutors (HSYK). Two more of the recommendations are partially implemented in the law, he said, and noted that the EU should give Turkey some good examples to look at and so that Turkey can compare itself with other countries and make any necessary changes.